Traveling the full length of the Trans-Siberian Railway is an experience of a lifetime. 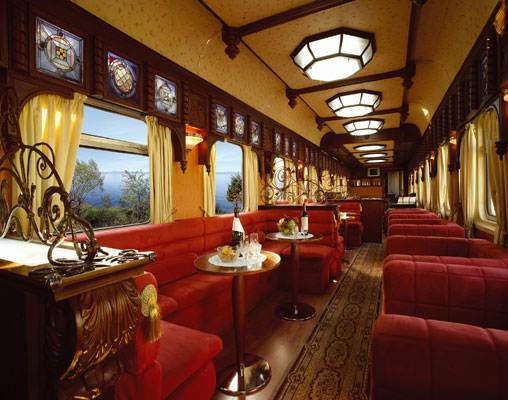 Today train lovers and cultural travelers alike have the chance to traverse this legendary route in the comfort of a private train specially designed and adapted for this ultimate rail adventure. Russia's far-flung Trans-Siberian rail line has over 6,000 miles of track laid through cities, villages, taiga and mountains. The BAM (Baikal Amur Mainline) route detours north above Lake Baikal, through remote Siberian villages built on permafrost where international travelers are seldom seen. Following the BAM Route, visit Russia's last frontier, through tiny villages untouched by tourism. Though bracketed by the same two cities as the Classic Route, Vladivostok and Moscow, the BAM line explores more remote stretches of Siberia. Journey is also available Vladivostok to Moscow based on your travel preference. 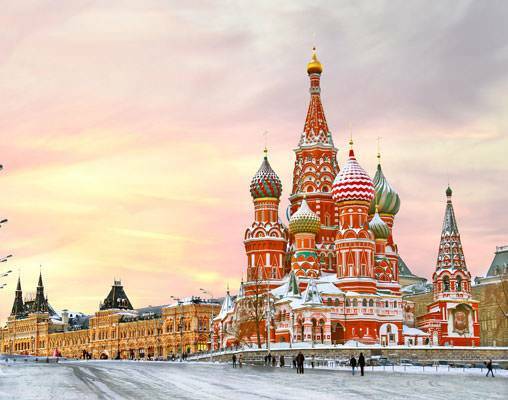 Arrive at Moscow airport, where you are met and transferred to the five-star Marriott Royal Aurora hotel (or similar) located in the heart of the city for a one-night stay. We enjoy a welcome reception dinner at our hotel. The following morning our tour of Moscow takes us to Red Square, an iconic symbol of Russia's former military and political might. Here we see a mix of fascinating architecture, such as St Basil's Cathedral with its magnificent onion-domed spires, the grandeur of The Kremlin and the evocative site of Lenin's tomb. With our Freedom of Choice touring options you may instead wish to visit, for example, the Tretyakov Gallery or travel out of the city to Sergiev Posad. Today we visit the historic city of Vladimir. Founded in 990, it is one of Russia's oldest communities with an architectural wealth and a UNESCO World Heritage Site. 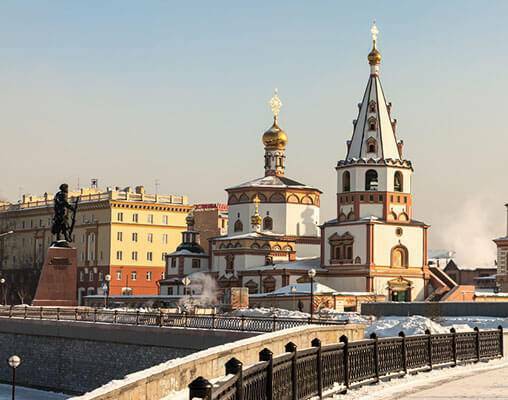 Our tour takes in Uspensky Cathedral, built between the twelfth and fifteenth centuries. It is considered one of the most important and beautiful of Russian cathedrals, where many of the prominent Russian Tsars were crowned. Our excursion moves on to the town of Suzdal, one of Russia's most perfectly preserved walled cities dating back to 1024. Here we visit the atmospheric St Euthymius Monastery to witness an enchanting choral performance by a male choir. No Russian winter experience would be complete without a Troika Sledge Ride. Enjoy the stunning scenery as your open horse drawn sleigh takes you on a captivating journey around Suzdal. We cross the Europe/Asia divide before arriving in the historic city of Yekaterinburg. Founded in 1723 by Peter the Great, this third largest Russian city is also the capital of the Urals. Our tour takes us to the execution site where the Romanov, Nicholas II of Russia was executed with his family by the Bolsheviks in 1918. Now a church dedicated to their memory, this site offers a powerful insight into the turmoil of the Russian Revolution. A modern 'Soviet' city, we experience the life and character of Novosibirsk's rich cultural city. 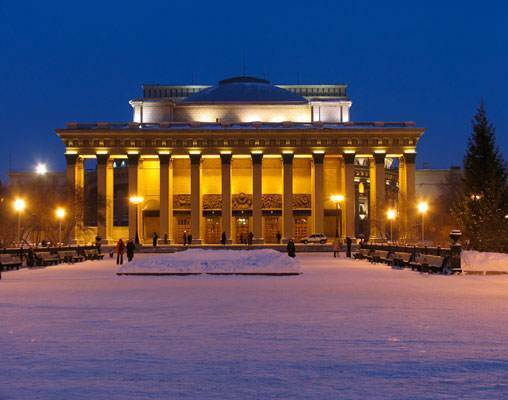 Our tour takes us to the Novosibirsk Opera House. An architectural marvel, it houses two permanent ballet and opera companies and is the largest opera house in the world. In front of the Opera House, we visit an imposing statue of Lenin - a marvellous opportunity to have your photograph taken with this iconic political leader. Today we relax onboard as our train travels through Siberia. In comfort enjoy the ever-changing views as sweeping panoramas of natural snow-covered beauty unfold before us. We arrive in Irkutsk, the 'Paris of Siberia', and take in the most significant sites and museums in this city, including an exploration of the classic wooden architecture that has given many of this region's buildings such a distinctive and unique appearance. Next, we visit the Decembrist House museum which is dedicated to the memory of the exiled aristocrats who were forced to flee to this remote outpost after the failed revolution of 1825. We will enjoy a private concert before leaving for the enchanting wooded encampment of Zaimka (Hunters Lodge) where we will be met by local women dressed in traditional costume. We have the opportunity to explore a Banya (Russian Sauna) in one of the region's authentic wooden houses. Drinks and traditional food can be enjoyed within a series of the cosy timber houses. Today offers a real highlight of travelling through Siberia in winter. 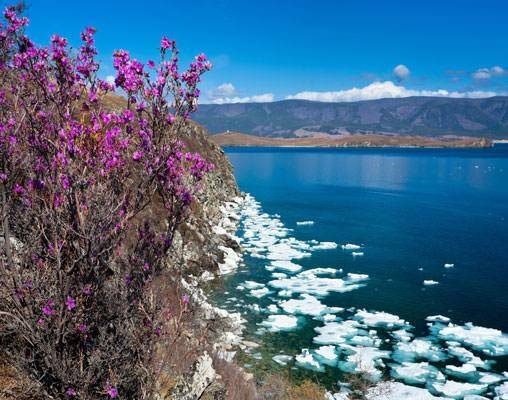 Few natural sights can surpass the beauty and grandeur of Lake Baikal. For five hours we wind our way through tunnels along cliff hugging tracks above the frozen lake with snow-capped peaks along the far shore forming a picture-perfect backdrop. Completely frozen in winter Lake Baikal is the deepest lake in the world and at this time of year we will visit the shoreside Ice Festival to look at the many intricate works of ice art. We are taken in a hovercraft across the lake for 30 minutes to the place where the ice fishing, dog sledges and snowmobiles are situated and you will enjoy the perfect vantage point to appreciate the magnificence of this unspoiled location. There is also the opportunity to watch the under-ice fishing and try the freshly caught fish which have been smoked in a mobile smokehouse and served warm with ice-cold vodka. Delicious! Today we arrive in Ulan Ude, capital of the Buryat Republic. The ethnic and cultural diversity of this area offers a unique insight into its heritage. As we tour the area you will notice the different faces and dress styles of these welcoming people. During our exploration of the Old Believer's Village we have the opportunity to learn about the culture and history of these religious people as we are treated to a traditional meal and enjoy a concert featuring local dancers and musicians. Mongolia, once the very centre of an enormous empire led by Genghis Khan, is a country of beautiful landscapes, nomadic people, and rich in culture and history. Mongolia is famous for its endless steppes, grazing livestock, and white nomadic Gers (Yurts) dotted all across the countryside. Our winiter Trans-Siberian adventure takes us to its Ulaan Baatar. Passing the central monument to Genghis Khan, undoubtedly the most feared and infamous Mongol, in Suhke Baatar Square, we visit the National Museum where we explore the country's intriguing history. We will also have the opportunity to visit a traditional Ger and meet a nomadic family. Passing directly north of Seoul, Darwin and Osaka, we spend our last full day on board the Golden Eagle as the most easterly point of our journey is reached passing through Khabarovsk, where we cross the River Amur. Tonight, we enjoy our last dinner onboard as we approach our final destination on this unforgettable journey. 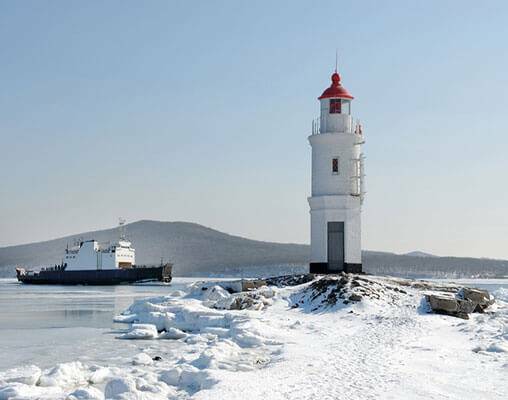 After travelling through 8 time zones and over 6,600 miles (10,600km) along this epic route to the end of the Trans-Siberian line, the Golden Eagle pulls into Vladivostok, a military port located on the western shores of the Sea of Japan. Vladivostok offers visitors an opportunity to explore its principal military attractions including a tour of a restored submarine before we transfer to the four-star Hotel Hyundai for our final evening and the Farewell Dinner. Enter your details below if you would like to be notified when 2021 dates and prices are available for The Golden Eagle -The Trans Siberian Express Winter Wonderland. Prices are land-only, per person based on double occupancy in $USD and include all taxes and fees. Prices are subject to change; please reconfirm at time of booking. Reverse itinerary available upon request.